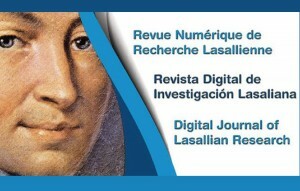 The 14th issue of the Digital Journal of Lasallian Research, titled “Many Voices in the Shared Lasallian Mission” is now available. The journal aims to show the diversity among Lasallians involved in new challenges and situations that the first Brothers never dreamed of. Discussions in this most recent issue include: the need for dialogue in education and openness to the present context, the importance of the educational relationship, the search for quality in schools, relationships between the generations, new ways of understanding spirituality and the impact all this can have on building new civil society through education.